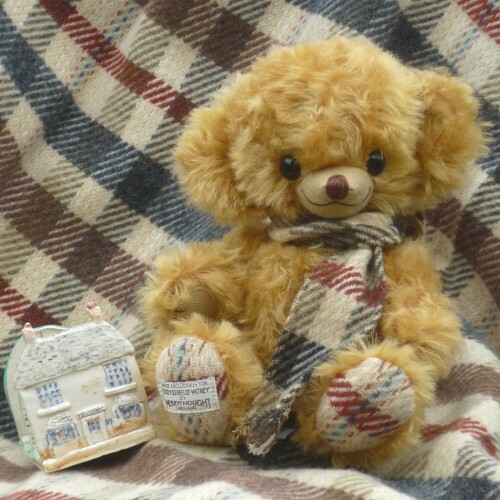 The ninth in our series of annual Cheekies is made of wavy and dense cinnamon-gold mohair with amber and black eyes. He has a felt muzzle and hand paws. 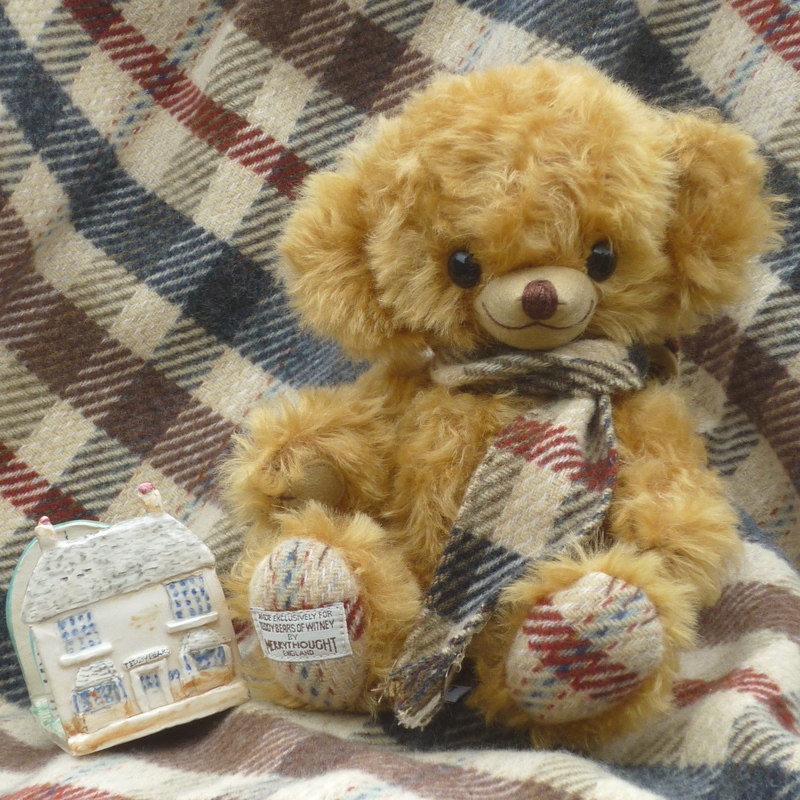 His scarf and foot pads are cut from a Witney Blanket – from The Blanket Hall opposite our shop. He is softly pellet filled.